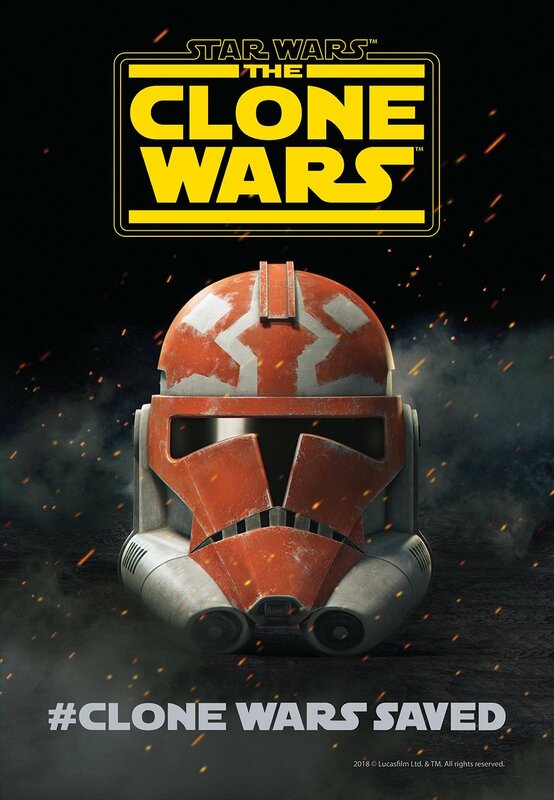 From the revival of The Clone Wars series to the onslaught of new Star Wars books announced at the Disney/Lucasfilm publishing panel, there were a lot of really cool Star Wars announcements last week at SDCC. But perhaps one of the most fun things for many Star Wars fans is getting to see what new toys and collectibles they’ll be able to play with or display on their shelves in the near future. 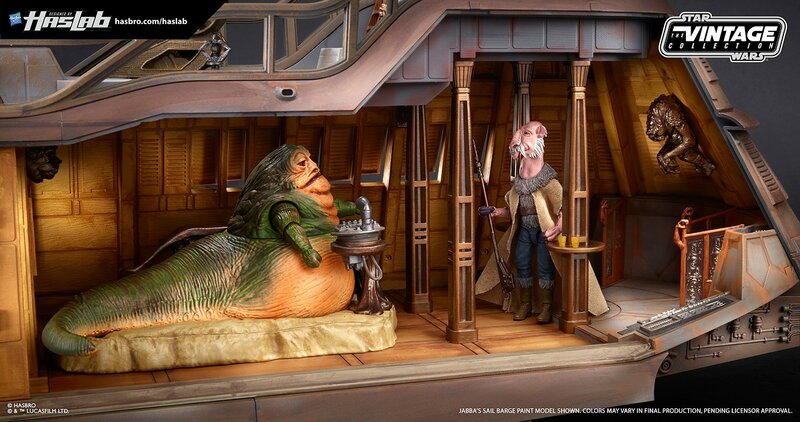 Hasbro certainly delivered the goods in that department last week, and SWNN’s Lacey Gilleran got to speak with Hasbro’s Design Director, Steve Evans, and Marketing Director, Joe Ninivaggi about Hasbro’s upcoming Star Wars toys. In the interview, they reveal that Hasbro’s work on Episode IX has already begun. They also discuss the success of the HasLab Sail Barge and what that success means for future projects, and Steve explains how new techniques are being implemented to maintain consistent quality in their design process. We also get an update on General Grievous, Jar Jar Binks and Resistance. You can also listen to the entire interview on our YouTube channel, we have posted it at the end! Joe Ninivaggi: “Soon” is the question. Steve Evans: We only found out about that quite recently. We were like thinking about it and now they announced it and we are: “alright let’s do this”. It takes a little while for us to react. We can do things like re-deco Clones really easy, but I’d rather go back and do some key figures. We will be reaching out to our fans and ask who would they want. Is it Cad Bane or Asajj Ventrees? Or you wanna go with Death Watch maybe? So soon is the word. Joe Ninivaggi: You said Rebels too. Did you say Rebels? Because we revealed two new Rebels characters yesterday – Ezra and Chopper, which look phenomenal. They almost complete the Ghost crew. We are closing on that. Steve Evans: I can tell you exactly what the next one is… No, I can’t (laughs). There will be lots more. HasLab is a real success; working with the fans and the people that really care about these things has blown the barn doors open. So expect lots of cool things from us, and not just us. Expect stuff from other brands like Transformers, Power Rangers. It’s really exciting. It allows this guy to kinda sell directly to the consumer, to get a really good marketing point of view in offering these crazy and weird products we can just design and think about. Joe Ninivaggi: I can’t tell you exactly but we will be announcing something relatively soon. Joe Ninivaggi: Pretty much every major motion picture release we treat with the same amount of intensity and love, and breath. So yes, we’ve started working on Episode IX. Very exciting and you can expect to see very similar style offering. We have a great stuff for kids, we have Black Series, Vintage, Role-play. Maybe a couple of new things that will be surprises. Steve Evans: On average, a product will take about 12 to 18 months to produce from “hey let’s do this” to you going to the shop and be like “Oh, I want to buy this”. It’s really a lot of ideation upfront. We talk very closely with LFL – “Hey, we want to this, what do you think about this, this and this”? And we talk about it and we go through a key submission stages, where we officially say: “this is what we like to do”, and they go: “it’s great”. And then we start designing in CAD, and doing sculpt, and we will produce 3D sculptures of what we are thinking and we will send it to them and say” this is what it will look like”, and they will say: “that’s great”, or “you can change this and this”. Or maybe it’s a little bit different now, do something else. And then we do that again for deco and we get it to manufacturing and they do first shots and they’ll build the tools, they’ll do the first sculpt, just grab any old plastic, then they will inject it and print it out and we take a look at it to see if it works. So that’s when you see all the prototypes – the weird colors that you see on the line. So it’s a long process. It’s very back and forth, back and forth with LFL. Joe Ninivaggi: I like the ideation, that’s my favorite part. Steve and I, and the team in a room just bouncing ideas and dreams. That’s what great about HasLab, our biggest dream was able to come true. Yeah, that’s the best, and of course seeing the stuff and working with LFL and actually seeing it. You’re a little kid every time that happens. No matter how many times we do it, it’s always goosebumps. Steve Evans: Not necessarily technology, but the “Photo Real” that we’re doing on our Black Series faces now, where traditionally they would get a molded head and someone would put a spray mask on and physically spray and then get in with a little brush – having to do that with tens of thousands of things. So now we’ve got the new system that allows a photograph of the actor’s face to go directly on to the sculpted head and maintain that registration. So, it’s consistency. It’s frustrating when you go and look for something and deco’s off on some of them, and especially if you’re buying online. You can’t even see what you’re getting. So, the “Photo Real” is a big step forward for us, maybe not necessarily new technology but certainly a new technique. We always push things. We’ve got a walking AT-AT, we’ve got “Force Link” that kind of makes sounds as you play. We’ve got the interactive trooper, one of my favorites. You can throw him up in the air, and when he falls he does the Wilhelm scream. There’s always new tech. We draft off of a lot of stuff that Lucasfilm are working on in the park. We’re always on the lookout for new tech that will go into our stuff. Steve Evans: Well we didn’t on Zuvio. It was the opposite. Yes and no. It’s strange, because in Star Wars someone only needs to appear for a second to be a cult. 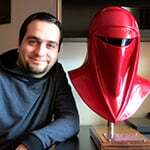 For example we have the Imperial Patrol trooper, amazing design, really cool and it’s already gone. 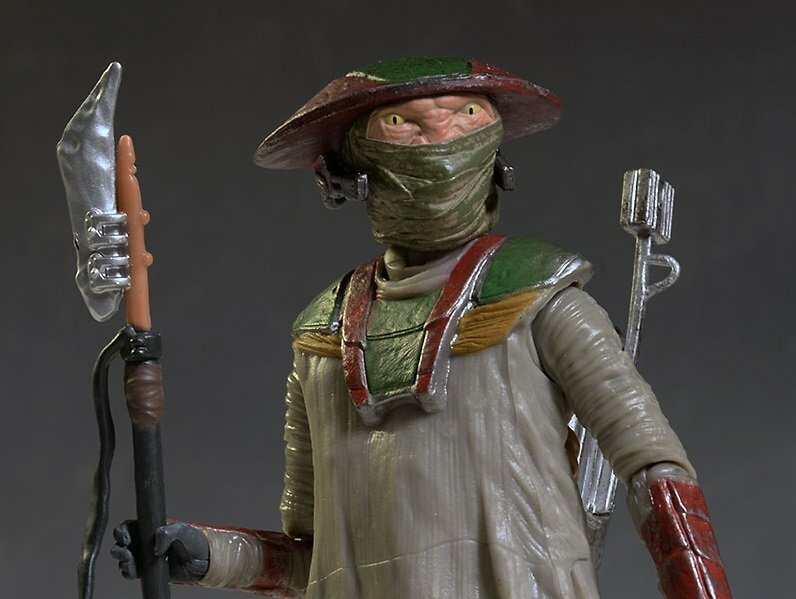 We actually see Zuvio in the movie, but it really all depends on the fans. They choose if something is cult or not. Joe Ninivaggi: That’s a really good question. I’ll try to think. I would say Jaina. There was obviously an appetite since she won a vote and we love her, she is an awesome character but it’s a relatively small audience that knows that character because it’s from the EU, Legends now. But she was quite successful. Definitely beyond of what we would have expected for that particular niche audience. That was definitely one that surprised us. 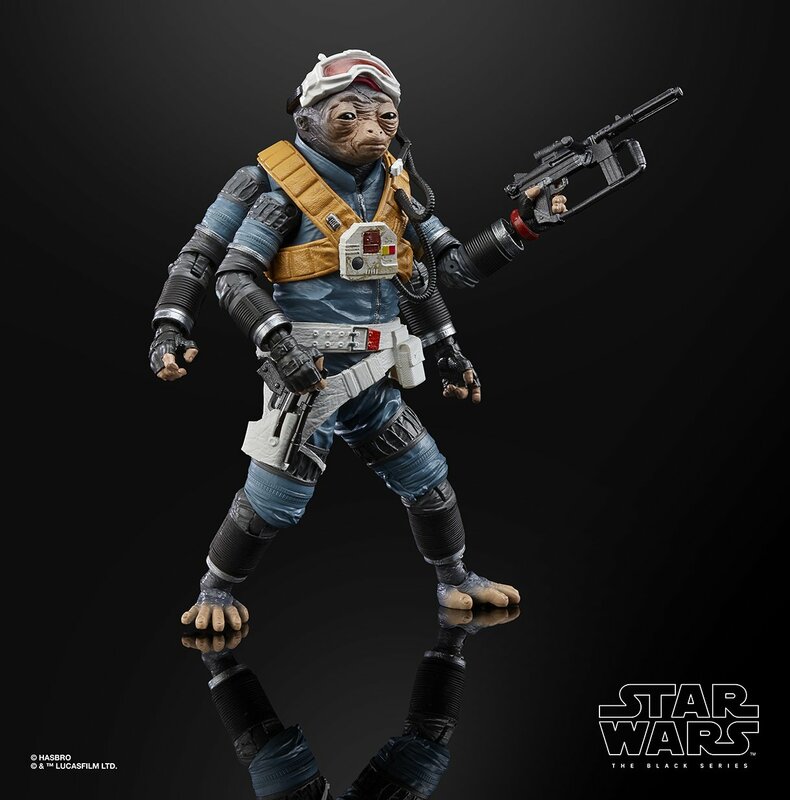 Q: Any kind of Crait Luke figures? When can we expect one now that it’s no longer a spoiler? Steve Evans: This is one of these things where we clearly are very close with LFL, and we know most of the stuff that is happening, but some stuff we don’t know and rightly so they need to tell the story, we are part of that. 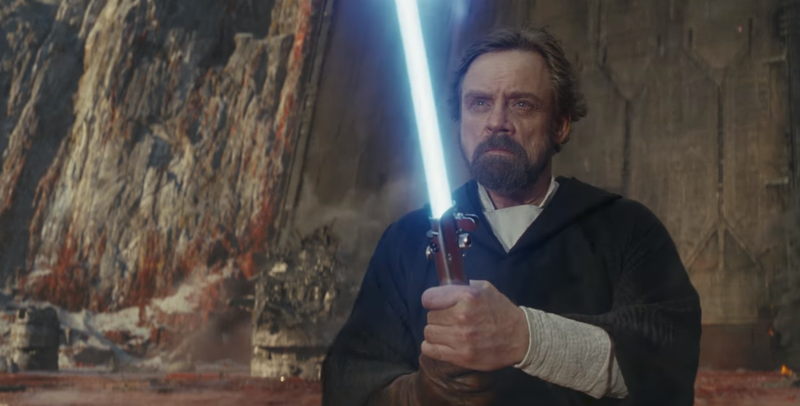 I didn’t know about Crait Luke until I saw him on the big screen. So yeah, there will be a Crait Luke, there will be some stuff coming. Joe Ninivaggi: But you don’t have to really do him. Did he really even exist? Or we just do an empty box. Steve Evans: It’s funny. We discuss Jar Jar a lot. I think he would make a really good Black Series figure. He has a great sculpt shape. The new photo real deco will work on more than just his face and neck and stuff. No plans for Jar Jar that I can tell at the moment. Joe Ninivaggi: I think it’s inevitable. We’ll get. People loved to hate on Jar Jar, but at the same time you know everyone has a soft spot. Steve Evans: There’s a resurgence as well. You know Ahmed Best had some hard times and people are stepping up now and support him. Joe Ninivaggi: We don’t have anything to announce yet. You expect that we have something coming down the pipe, so you’ll just have to wait and see. But we are excited about it. It’s really cool looking from the reference that’s been shown so far. It’s really cool and different looking. Cool characters and really vibrant. Hopefully we will do something cool for that. Here is the full audio of the interview on our SWNN YouTube channel! If you haven’t yet, make sure you subscribe to our channel as this is where you’ll receive all of our videos from interviews like this, our podcast’s episodes and segments, our SWNN weekly news show, and other videos from Star Wars panels and events in the future!